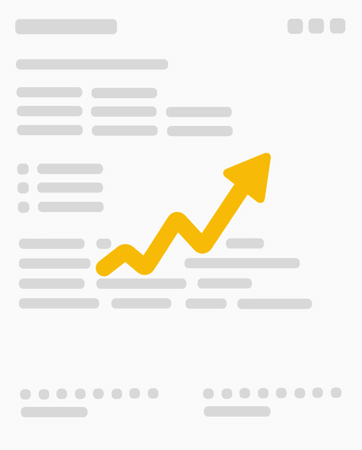 Boost your efficieny by automating both internal and client-facing signatures and approvals. Your data is encrypted using 256-bit SSL and handled by a closely monitored infrastructure. eversign integrates seamlessly with applications and services you or your business are currently using. 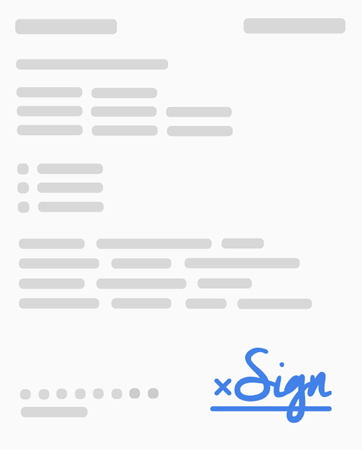 Use any device to sign any document — signing with eversign is simple, quick and secure. From individuals, to small & medium sized businesses, right up to corporations. We're here to help you securely get your paperwork out of the way and get deals closed faster. Whichever type of document needs to be signed - take control of your digital work and securely manage your documents in the cloud. Focus on the really important parts of your business, accelerate sales and proposal paperwork, close deals faster and save money. Ensure legally binding signatures, reduce document turnaround time, save countless man-hours and preserve nature at the same time. 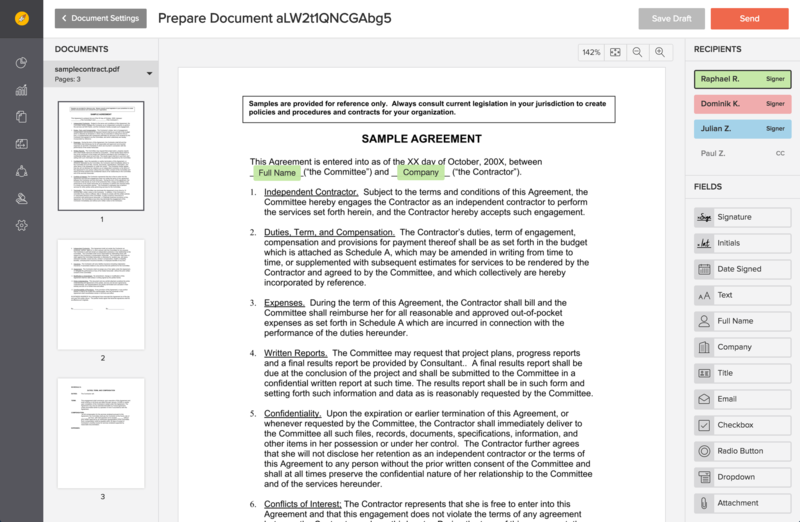 The built-in document editor gives you all the tools you need to edit, send and sign documents in seconds. Configured to allow for simultaneous work, eversign will increase your document-related workflow immediately. 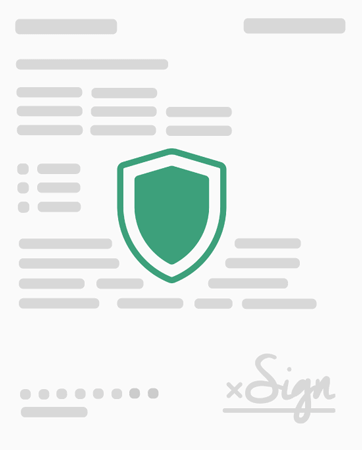 Let customers sign on your very own PC, tablet or mobile device — useful for NDAs, quick registrations, and more. Set up templates for your most frequently used contracts or forms, share them with your team and reduce drafting time. Looking to automate all the functionalities eversign has to offer? We've got you covered, with a fully-featured REST API. Your eversign experience has been optimised for any type of device — whether it's a PC, a tablet or a mobile device. 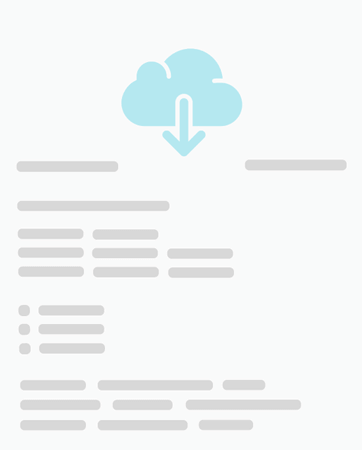 Seamlessly connect your eversign account to popular cloud storage solutions like Dropbox, Box, OneDrive or Evernote, and even sign documents right from within Gmail, Google Drive, Google Docs and the Google Chrome browser.